EAW002162 ENGLAND (1946). The town, Whaley Bridge, 1946. This image has been produced from a print. 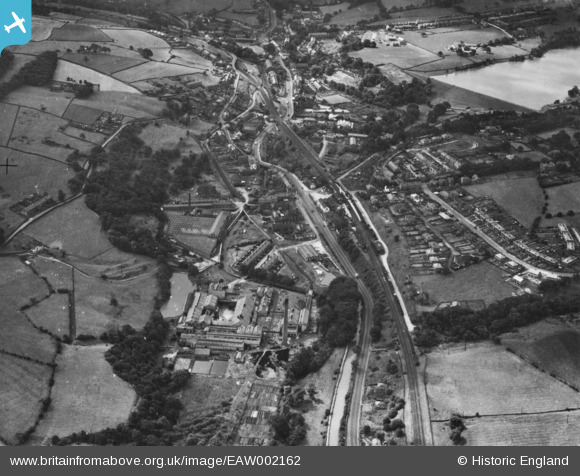 Title [EAW002162] The town, Whaley Bridge, 1946. This image has been produced from a print. Whaley Lane, towards Higher Disley. Buxton Road (A5004), towards Furness Vale. Chapel Road (B5470), towards Tunstead Milton & Chapel-en-le Frith. A5004 to Fernilee and Buxton via Long Hill. Street railway into prininfo by Barney Rubble.t works, between the terraced houses, info by Barney Rubble. Railway / canal trnshipment sidings, from C&HPR days, info by Barney Rubble. Whaley Bridge inclined railway, with horse windin gin to left of pin, info by Barney Rubble.